When I was a kid, I loved using a magnifying glass to get a closer look at ordinary objects. I would study the engineering of an insect's feet, the geometry of veins on a leaf and the art of postage stamps. Two of doctors in Wellington, New Zealand, discovered that adults still have a lot of that sort of curiosity. Using their shared interest in optics and ophthalmology, Drs. Sheng Hong and Ben O’Keeffe created a lens that could be used to capture close up and macro images of medical conditions. But they soon learned that people were using their prototype device to shoot close-up images of everyday objects. 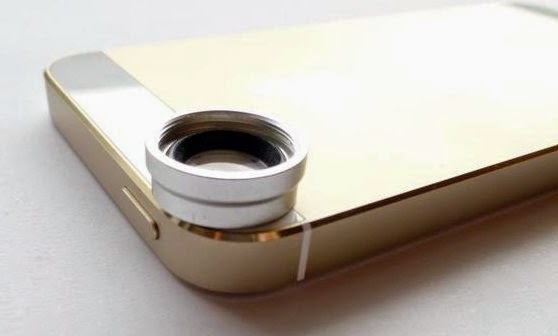 That discovery led them to develop a consumer version called MAGcro, a macro lens that can be used with the camera on any smartphone or tablet. The doctors formed a partnership they call OphthalmicDocs and launched a campaign on Kickstarter hoping to raise $5,000 to finance development and production of the MAGcro. Backers who pledge $25 will get one of the first units for $5 less that the list price. To get a close-up look at the the MAGcro, watch the video below, then visit the Kickstarter campaign page or the OphthalmicDocs website. The docs are also on Twitter.